But no, hibernation isn’t an option. And with the clocks going back yes, we could let you slump in front of Saturday night prime time TV scheduling, and we know you’re attached to your Netflix marathons, BUT now is the perfect time to book a babysitter, have a bath and then bolt out of the door, beloved on arm, to explore some of the best restaurants the UK has to offer. Nowadays you can order in hampers, flowers and even beauty treatments to arrive at the door of your holiday cottage. But when on holiday, it’s so much nicer to do as the locals do. When in Rome and all that… Get out and about on your cottage holiday. 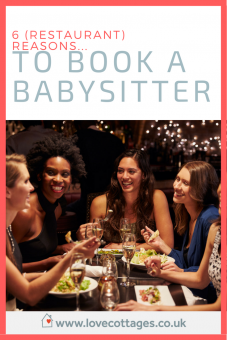 Your holiday cottage agency will, with pleasure, provide a list of vetted, tried and trusted babysitters allowing you to kick up your heels and embark on a journey to tantalise the tastebuds. So without further ado we bring you six of the UK’s restaurants guaranteed to tear you away from the TV and certain to make you loosen trousers and skirts to boot. How wonderful that the garden and kitchen teams work so closely at this Michelin starred manor house built in 1598 and transformed into a luxe establishment providing hospitality befitting a grand country house hotel. For a night out celebrating a special occasion this is the place. Head Chef George Blogg prides himself on providing only seasonal produce on the journey from plant to plate. You’ll be in no doubt just how fresh your meal is by tracing the journey all the way back from your table….to the garden out of the back door. Or failing that to suppliers living within a few miles as the crow flies. Gravetye Manor has also just retained it’s Michelin Star in the recently published 2017 guide. A fine endorsement indeed for one of the best restaurants in Sussex. We travel north for our next recommendation, straight to an AONB on the Northumberland coast. If fish is your thing then The Potted Lobster, a neat and nautical restaurant, is the place for you. Our advice? Work up an appetite whilst enjoying a bracing walk along the coastal road from Seahouses to Bamburgh. Follow the B1340 Links Road straight to the Lobster, making sure that you book a table first, this little gem is busy all year round. As you’ll expect the fish is sourced from the North Sea which surrounds this coastal town, with the beef and lamb from Bamburgh. Choose from a creative and colourful menu, but you won’t be surprised to hear us recommend the potted lobster. Cooked with flavoursome herbs this signature dish is the restaurant’s calling card and not to be missed. You won’t be disappointed. 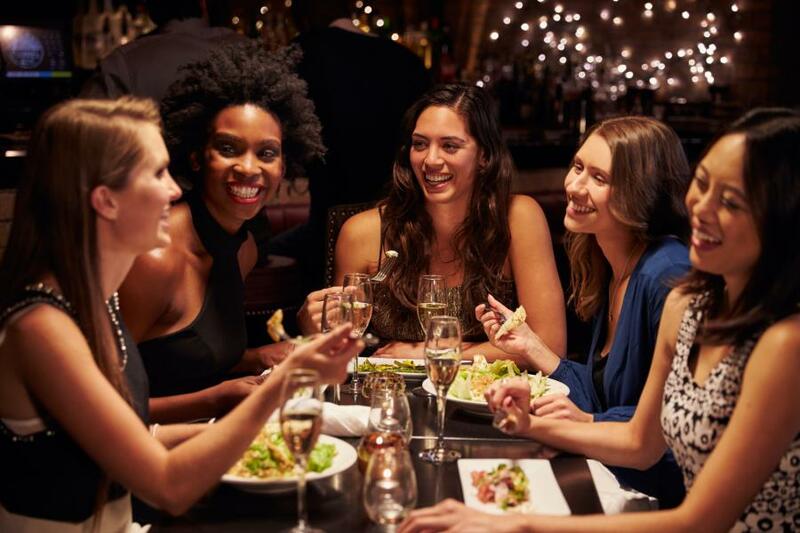 If you’re looking for an atmospheric night out with a group of friends or a meal for two with an emphasis on taste, the Latino America grill in Hove will always occupy a space in our hearts due in no small part to it’s stupendous meat dishes. Words. Literally. Fail Us. Order a smooth bottle of red and prepare for a feast. Hailing originally from Buenos Aires, the owner will share with you his passion for food – grass-fed beef from Las Pampas and fine wines of the New World variety. We discovered that their commitment to sticking to menus that are true to the spirit of their country wasn’t an idle boast. Order an Argentine Meat Experience (to share) and be blown away by the quality of the rump, rib-eye and sirloin cuts. And for the vegetarians amongst you? There’s a separate dedicated menu so no tedious scrolling through tiny ‘v’ symbols. A welcome and thoughtful touch to make customers with all food preferences feel included. This fabulous East Sussex based grill earns a big thumbs up from us. A visit to St Helens on the eastern side of the diamond-shaped Island is a step back in time to ye Olde England. You’ll find the village pub, a lovingly tended village green hosting cricket and football teams depending on the season, a vintage tea shop selling homemade cakes and a second hand bookshop – an excellent stopping place prior to the tea room. A cup of tea is always best sipped with a novel we find. And nestled on the lower green you’ll find Dan’s. A simple restaurant with charmingly attentive wait staff who’ll go to great lengths to recommend exactly the right merlot for your main. Speaking of which, you’ll usually find a fishy dish of the day due to the proximity of the Kitchen to Bembridge Harbour. Fresh means exactly that in these parts. We’ve enjoyed a melt-in-the-mouth macaroni cheese and, highlight of the meal, was the homemade bourbon biscuit with salted peanut caramel and Horlicks ice cream. Speaking of Horlicks, a pre-bed beverage is one thing you won’t need on returning to your holiday cottage on the Island. You’ll be pleasantly full and fast asleep in no time. If you’re looking for the best Sunday lunch, beat a hasty path to Berkshire and book at table at The Newbury. Located on the high street it’s easy to find and comes with decor befitting a family friendly gastro pub – comfy sofas, expansive seating areas and wood burners to keep out chilly autumn winds. If you and you’re brook are feeling ravenous order the Roast Sharing board which will see you served with a combination of all of the roasts of the day. You’ll be salivating over beef, pork and chicken together with all of the accompanying sauces apple, bread and horseradish. And don’t get us started on the mountains of yorkshire puddings, roasties, buttered kale, buttered carrots… A word of warning. Do try and save room for the dessert sharing board. You’ll be devastated if you don’t. Fighting for your attention will be seasonal puddings such as blackberry pannacotta, Guiness cake and a temptingly wintery trifle. There’ll be thumbs up all round and satisfied smiles guaranteed. Located within The Manor House Hotel, the Bybrook Restaurant is a sleek and elegant establishment. Head out for the day and explore the 14 century village of Castle Combe, frequently awarded the title of ‘prettiest village in Britain’ and one of the locations for the film War Horse. Your inner film buff will be impressed at just how many Hollywood backdrops Castle Combe has leant itself to. Return home to your holiday cottage for a spruce up and then head out to celebrate your special occasion in style. A world-class dinner awaits at the Bybrook, not to mention an AA acclaimed wine list. Traditional dishes are made exceptional at the touch of Executive Chef Robert Potter. Together with his fleet of talented chefs they create masterpieces from the bountiful produce harvested on the estate – resident pigs, ginger nut chickens and quails to name a few – with very few, if any, miles recorded from pasture to plate. So that’s us criss-crossing the country with our restaurant recommendations. All that remains is for you to put best foot forward, wrap up warm, and venture out into the wintery night to sample for yourself. Nom nom!